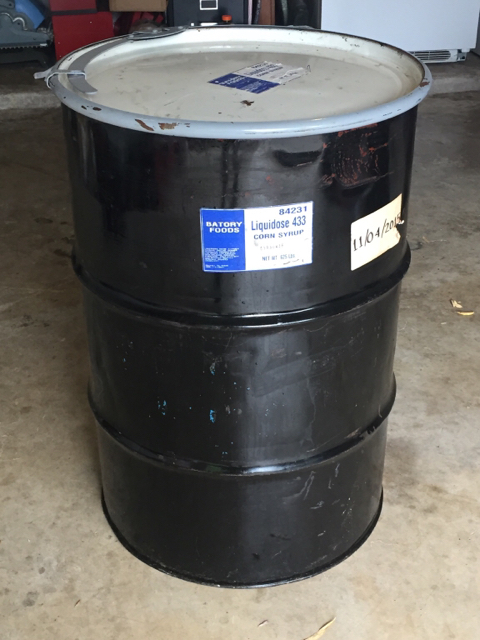 my youngest son recycles and sells IBCs (Totes) but I don't think he's ever messed with the Drums ? About ready to get this show back on the road. No joke OUP. This things taking forever to come together. bsooner75 wrote: About ready to get this show back on the road. Wow, you have the makings of a honky hangi. That drum is exactly like mine even with the ratchet locking lid. How do you use your drum. I will post a pic of mine when I go outside . It's the same as yours but mine has about 6 inch legs where a double burner fits under. About six inches from the bottom is 4 welded toggles that hold a metal x. Approx 4 inches from the bottom on the side of the drum a hole is drilled 3mm from memory. So you fill the drum up with water to the hole level.put the perf grate in the drum then stack meat on it. I do a whole leg of lamb a big piece of beef, a rolled shoulder of pickled pork. Then on top of that I use a basket with 3 chickens and a pillow case with peeled vegetables potato sweet potato pumpkin carrots. Seal the lid and light gas burner under the drum. When water starts spitting out the drilled whole allow 3 hours and then your food is all ready. We call it a honky hangi because its the white guys lazy way of doing a hangi. The Maori do the original hangi in the ground. It takes ages from start to finish so someone came up with the drum. I do it once a year for my family and friends. It feeds around 25 people. Simple and easy. Drink while its cooking. Meat is so tender it's not funny. Wow Russ, that sounds pretty cool. This will eventually be an ugly drum smoker. Fire basket on the bottom for charcoal & wood chunks. A diffuser plate and a couple of grates up to smoke the meat. I'm looking for long burn times for the days I don't have time to fiddle with my stick burner. Awesome, put some pics up when ya done, I'd be interested in seeing how your system works. I know mine works fine. Man we've come a long way from the caves huh.